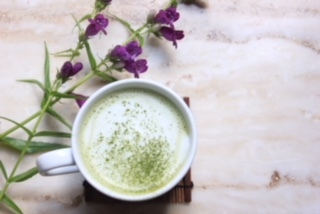 Jugetsudo’s matcha doux is sweetened with organic sugar so it’s easy to use! Place the matcha powder in a cup. Slowly whisk in water and whisk well with a small whisk. Pour in the milk.